The latest entry to the stable of Fuji X-cameras, the X-T10, is a slightly stripped down, smaller sibling of the immensely popular and pro-featured X-T1. 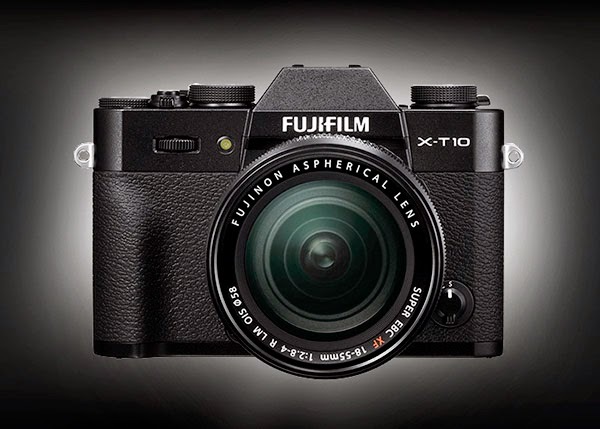 Interestingly, the X-T10 comes to market with an advanced AF system that won't be available on the X-T1 until it receives a firmware update in late June. 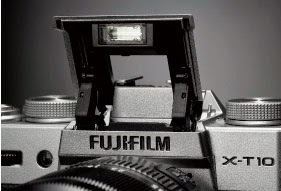 Although most likely aimed at an audience looking for a simple, entry-level camera to the Fuji X-line, the first thing that occurred to me was whether the X-T10 could serve as an auxiliary, second body to the X-T1. For photographers who depend on a camera for their living, a backup system is a must, especially when travelling. One thing making this an attractive option is the way the two bodies complement each other. Additional features, such as the improved video of the X-T10, as well as features that have been eliminated, such as the flash sync, help to fill the gaps. The lighter weight body and size of the X-T10 also make it an easier body to toss into the camera bag as a spare. And of course the $799.95 price tag of the new X-T10 is about $400 less than the X-T1 at $1198.95making its consideration as a spare all the more attractive. The X-T10 comes with a new set of AF features that remind me of some of the best AF features, such as 3-D tracking, of my Nikon DSLR cameras. These features will also become available on the X-T1 with a firmware update at the end of June -- about the same time the X-T10 will be available for delivery. 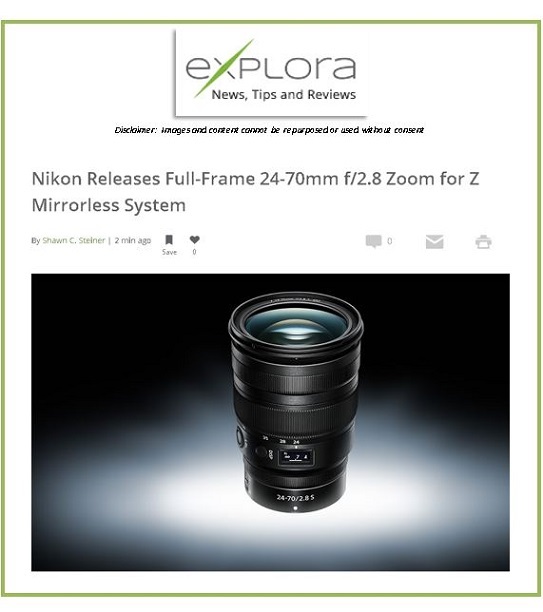 Video capabilities with additional frame rates, including 24fps, have been expanded making this a better choice for shooting video than the X-T1. The X-T10 body is not weather sealed like that of the X-T1, probably one reason why it can sport a pop-up flash. Nonetheless, the body has a substantial die-cast magnesium alloy body. Without the weather sealing we also see the return of one of my favorite retro features, the screw-in cable release socket on the shutter button. This photo and the one below show the cameras in proportion to one another. 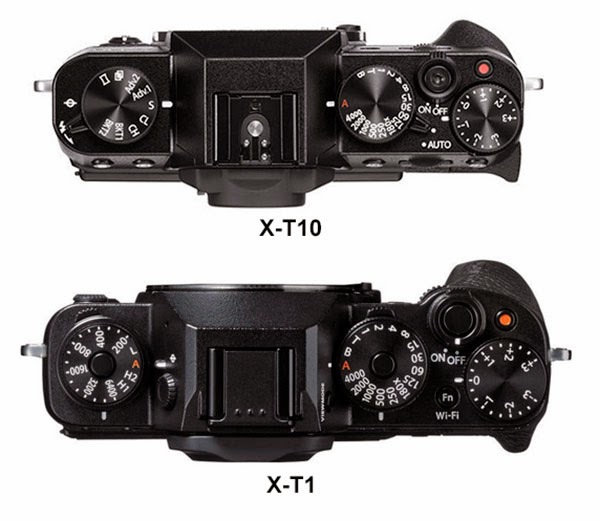 The overall dimensions of the X-T10 are slightly smaller and lighter than the X-T1. On the back panel the Focus Assist button has been eliminated, while an Fn button has been added on the lower right. All the buttons have a higher profile making it easier to find them by feel fixing a complaint many had with the buttons on the X-T1. The rear 4-button pad is configured, like the X100T, to move the focus points in four directions. I have my X-T1 re-cconfigured to do this, but with the new firmware update in June, this will become standard on the X-T1. 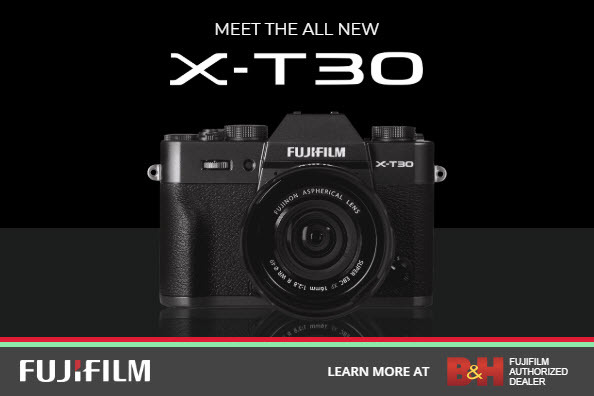 While not weather resistant like the X-T1, the body is solid and durable with die-cast magnesium for the top and bottom. Gone is the ISO dial of the X-T1. This feature is now only accessible from the standard or Q menus. A small lever on the left raises the built-in flash, and a lever beneath the shutter speed dial shifts all the camera controls into full Auto mode. The X-T10 comes with a built-in flash instead of the auxiliary flash that comes with the X-T10, but the camera does away with the dedicated flash sync of the X-T1. The continuous high frame rate of 8fps remains the same, but the burst rate of the X-T10 at 8 vs 47 frames allows only one second of continuous shooting before pausing to empty the buffer. Resolution of the LCD screen has been reduced slightly from 1040k to 920k, still quite respectable. There is not auxiliary battery pack for the X-T10, but an accessory hand grip with the thoughtfully added Arca-swiss type mount built-in is available. For what it is and what it delivers at a substantially lower price point than the X-T1, the X-T10 is a real bargain camera, whether used by itself or as a second body to an X-T1.